Looking to rent concrete forms and accessories in Rochester NY, Ithaca NY and Western New York? The Duke Company carries the entire rental line of Symons and Dayton Superior concrete forms and accessories. Available for rent, Symons steel-ply forms are renown for exceptional quality as a result of their USA manufacturing. We offer expert CAD (computer aided design) assistance, expert concrete forming advice, prompt delivery and convenient drive-thru access. 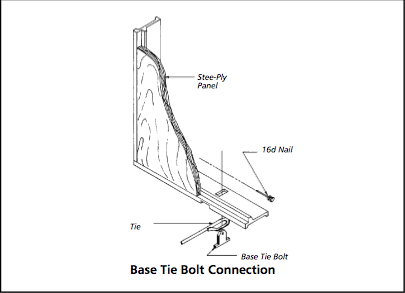 Symons base tie bolts serve the important role of securing a tie to an endrail or siderail. Additional use scenarios include the situation where a panel fronts an vertical surface.